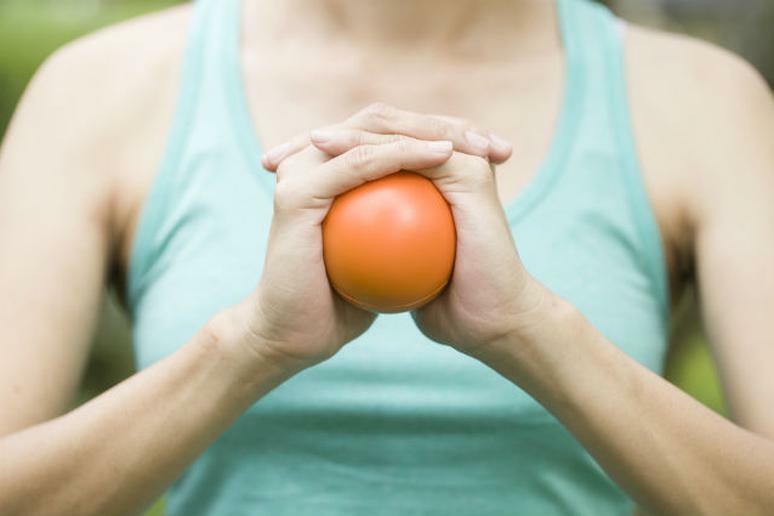 All too often, stress—or rather, reducing it—is an overlooked component of a healthy lifestyle. Both acute stress (the kind associated with minor, everyday circumstances) and chronic stress (the kind that stems from more long-term or major concerns) have been known to increase certain hormones that can increase appetite, disrupt sleep and even promote fat storage. Essentially, high levels of constant stress can take a pretty large toll on your health, and if you have fitness goals, like losing weight or increasing your athletic performance, it could be hindering your progress. Plus, for the simple fact that stress makes us feel anxious, flustered and irritable, it only makes sense that we’d want to limit its effects. Luckily, exercise is one of the best ways to reduce and offset the negative effects of stress. But if you don’t have time for an entire workout, next time you’re feeling strained, tense or just generally overwhelmed, Kyle Stull, MS, LMT, a NASM certified personal trainer and master instructor suggests stopping for a short break with these six stress-busting exercises.